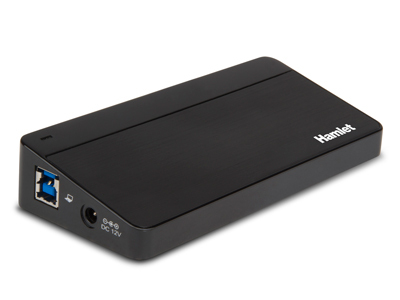 Hamlet 7 Port USB 3.0 is an external professional Hub which allows you to replicate the USB 3.0 port of your computer to connect up to 7 devices. The USB 3.0 connection provides excellent performance with data transfer rate up to 5 Gbit/s and is compatible with all computers with a USB port. The 7 port hub includes a 36W external power adapter to support high powered USB devices.